Team Link Muay Thai is the #1 Muay Thai/Kickboxing gym in the Greater Worcester Area. We're dedicated to empowering our community by teaching men, women and children of all ages what their minds and bodies are capable of through the most fun, dynamic, and professional level training available. Members notice an improvement in energy, get fit and lean, learn self-defense, build confidence, and develop positive, healthy lifestyles - no matter what their starting fitness level is when they start training with us. Simply put, you will get better than you ever thought possible. Within just a few short weeks, our members build confidence through striking drills, lightning fast kicking workouts rooted in traditional kickboxing moves, and the ability to focus their minds on accomplishing goals in a whole new way. Rock your fitness goals to the core while busting through plateaus! An endless variety of functional training drills, crazy-cool new martial arts techniques to learn, and non-stop cardio conditioning means no two workout are ever the same. 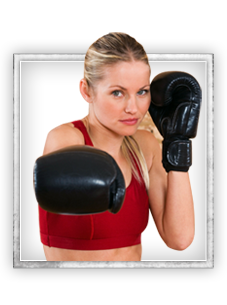 Muay Thai Kickboxing offers something for everyone and is highly effective for personal defense, weight loss, fitness, as a stand-alone martial art, or as an addition to your mixed martial arts arsenal. Keep your body guessing as you shock your system in fun training drills anyone can learn how to do. Whether you want to seriously dedicate your time to becoming an amazing martial artists or simply want to get fitter fast - the key is that our instructors work WITH YOU and not for their own personal goals. You get better based upon what you do in class, how hard you practice, and what you ultimately want to get our of your training. Our world-class instructors know exactly how to push you hard enough for you to bust out of a fitness funk and get to next level status. An all new adventure, with phenomenal body sculpting results exclusive to martial arts, is right around the corner - amaze friends and family (who won't believe your amazing transformation!) as they all start asking for your "secrets" of success. Embrace your inner striker with World Class Coaches and Champions as you work, sweat, and have a BLAST in our 7,000 square foot state-of-the-art facility and the amazing web special going on right now! See, you've already got a one-two combo going in your favor! Instructor bios are below so you can get a feel for the leadership at Team Link Muay Thai. Looking forward to training with you soon! Founder of Team Link Muay Thai in 2009, Head Muay Thai Coach Ibere Reis brings a combination of dedication and passion to his students that is unmatched. Having trained over a decade of Traditional Muay Thai under the tutelage of world class muay thai trainer, Kru Pairojnoi, Coach Reis has worked with such big names as MMA/Muay Thai Superstar Cosmo Alexandre, UFC fighters Gabriel Gonzaga, Ricardo Funch, Jon Manley and Elias Silverio. He has developed many of today's MMA and Muay Thai Champions locally and internationally such as Alexandre Moreno, Abner Lovares, Julian Nguyen and Michael Triana. Although Coach Reis has plenty of experience with professional fighters, he also holds the tools young fighters need if they ever want to go to the next level. His understanding of diet and overall conditioning can be catered to persons wanting to become the next world champion, or simply wanting to slim down. Never hesitate, given the chance, to speak with Coach Reis and in moments you will begin to feel his enthusiasm for the sport that he has dedicated his life to! Julian began training and studying martial arts since the age of 10 years old. Since then he has earned two black belts in various styles and has fought for the U.S. Muaythai team in Thailand and Spain. In March 2014, he won the award for Best Muay Thai Technique in his tournament division at the World Muaythai Federation Championships (WMF) in Thailand. Julian brings to us a vast amount of knowledge and experience. A fierce competitor and inspiration to many of us, he is the 2014 IKF East Coast, 2015 WKA U.S. National Tournament and 2015 2x Unified World Championships Muay Thai Welterweight Champion! Come join our Worcester, MA Martial Arts facility! 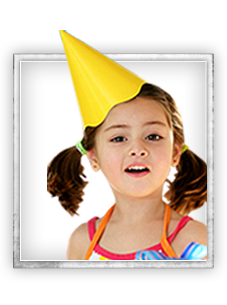 We offer programs in Kids Kickboxing, Kickboxing, Muay Thai Kickboxing, and Birthday Parties. Choose a program that most interests you and have the opportunity to sign-up right here on our site for one of our awesome web specials. Or feel free to give us a call at 774-413-0388 if you have any further questions. Team Link Muay Thai hopes to speak with you soon!